Many of the finest custom homebuilders throughout South Florida have chosen TheExperts for their low voltage needs. Because TheExperts offers their clients turnkey solutions, using only the highest quality products which they stand behind one hundred percent. This leads to increased customer satisfaction, and helps these builders set themselves apart from the competition. 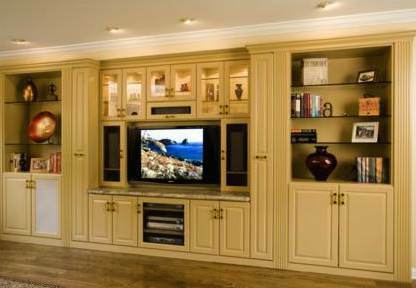 For one, more and more new home buyers want ready-to-use, built-in media systems. Studies show that nearly one-quarter (23%) of homebuyers who recently purchased a newly-constructed home also purchased a home entertainment option through their builder. In addition, TheExperts can help your clients maximize their home’s efficiency, thus reducing their utility bills. A Home Automation system, designed and installed by The Experts achieves this through “intelligent” control of HVAC, lighting, irrigation, and various other systems. With ever-increasing energy costs, a “Greener” home is a faster selling home. TheExperts also provide services such as wireless networking, video surveillance, and structured wiring which complete the new home package, affording your customer convenience, peace of mind, and an organized, reliable installation. Over the years, TheExperts have established strong business relationships with these premier homebuilders. Not just because of their fair pricing and quality workmanship, but because of their service after the sale. Once the installation is complete, TheExperts provide each client with a personal system orientation. A technician will explain all of the work that was performed and teach the client how to use each component. And TheExperts will be there for your client long after the orientation, should any questions or concerns arise.